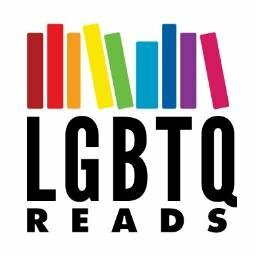 While most of books you’ll see on this site are strictly LGBTQIAP+ MC, I’m going a little outside that box for this post. (Not to worry; there’ll be plenty of posts on that too.) Most of these books do have at least one queer primary character too, but this is sort of a bigger-picture look, because these are the series that wouldn’t necessarily come up if you searched for LGBTQIAP+ YA fantasy, and, well, this is Under the Gaydar; what else do you think we do here but build your TBR list with stuff you didn’t know was actually bleeding rainbows? The Impostor Queen by Sarah Fine – Not only is the premise of this book, about a girl who’s supposed to become a queen with massive powers and then just kinda…doesn’t, pretty epic on its own, but the main character is also quite besotted with her handmaiden. As per usual in Fantasy, the word “bisexual” isn’t used, but the differentiation of her feelings from simply being friendly is done clearly, and the guy she ends up with never feels like a romance she settled for. Next year will bring the sequel, The Cursed Queen, which according to the author similarly has a bi MC, this time with f/f endgame. And I Darken by Kiersten White – This historical fantasy is one of my biggest obsessions of the year, and features two narrators: a bloodthirsty girl named Lada and her brother, a softer, more beautiful boy named Radu. Oh, and both are in love with Mehmed, the son of the sultan of the Ottoman Empire in which they’re effectively being held captive. The Girl at Midnight by Melissa Grey – The voice in this one alone could kill me, but one of the best things outside of the main character, macaron references, and NYC love is the amazing haters-to-lovers banter between Jasper and Dorian, two of the guys in her gang, who bring yet more wittiness to the series, along with some gayness and pansexuality. The Young Elites by Marie Lu – One of my favorite fantasy series so far (two books down, one to come this fall) is all about villainy origins, but I’ll take a spin off on the queer romance that edges in through the cracks any day. Seraphina by Rachel Hartman – I have to cop to that this is the one series on the list I haven’t started yet, but the absolutely glowing comments on varied representation in Shadow Scale, the second book in the duology, won’t allow me to leave it off the list until I do, especially since it’s the only mainstream-published fantasy I know of with trans representation. My love for the Seraphina series/Hartman’s writing is ridiculous. I got very vocally excited when I read the trans representation in Shadow Scale. ALSO, if I interpreted it correctly, there’s implied polyamory.